Well, where does one start when they have to cram all of that into a single panel? I managed it some how, I hope the recipient was happy! 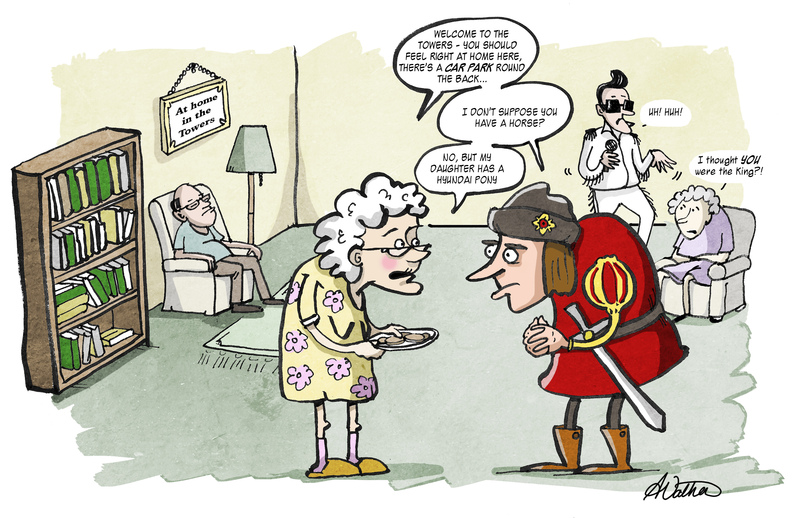 This entry was posted in General and tagged art, cartoon, doodle, humor, Richard III by bighair63. Bookmark the permalink. Haha, I’m sure they did like it. This is great! Thanks very much! I have an equally bizarre commission coming up at the end of April, although it doesn’t involve royalty!